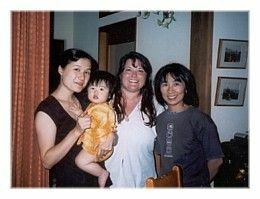 In January 2004 I was hired by a couple to be their doula for the birth of their second baby, due to be born in July, in Japan. Their first baby was born in the US by cesarean. The babies would be 20 months apart. This birth was to be a planned VBAC (Vaginal Birth After Cesarean). The couple felt that their best chance at having a natural birth was to have a trained labor support professional by their side. After investigating their options in Japan, they decided to go stateside to find their birth companion. After an extensive search they narrowed the potential doulas down to eight...and then down to one...what an exciting experience! Two days after I arrived in Japan, labor began with the rupture of membranes during our evening out to the movies. Mom and Dad worked exceptionally hard, both prenatally and throughout their birth. 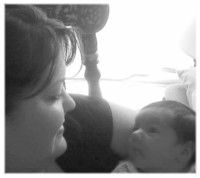 Baby Seth was born on July 25th, 2004, after a completely natural VBAC! You can read Seth's Birth Story, written by his mom, which also appeared in the International Cesarean Awareness Network's (also known as ICAN) publication of The Clarion Vol. 19, No. 4, and in the publication of Above Rubies No. 62, by clicking on the underlined link above (once on the website, it will be the second story down). 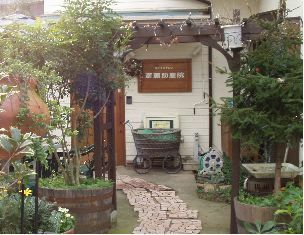 While in Japan, I was invited by 8 Japanese Midwives to The Saito Birth Home. I learned many wonderful birth techniques & I met many beautiful women and families. If you click on the underlined link above, you will be taken to their website where they have posted pictures and thoughts (half way down the page) about our time together...Of course, it helps if you can read Japanese! Candy San (or Ame in Japanese) & Baby Sakura (her name means Cherry Blossom), visiting the sanbas (midwives) at the birth home with her mom, five months after her birth. 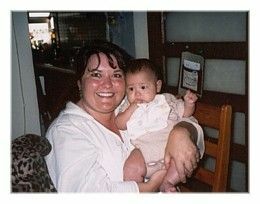 Baby Sakura was such an incredibly happy baby...of course, she started out right...she had an eeo san (good birth)! 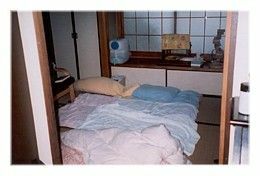 The Tatami Birth Room at The Saito Birth Home...Mom gets the bigger tatami mat area (white with blue pillows and pink comforter) while Dad gets the little pink section on the left side of the picture (with the yellow pillow)...This photo was taken when the couple went outside for a long walk in hopes of helping the birth process along. It was very peaceful in that room! Japanese school girls stopping to pose for a picture..."Peace!" These girls go to school on Saturdays and they are still smiling! 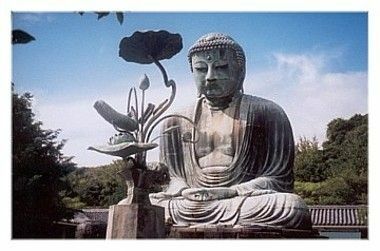 The Great Buddha in Kamakura...Cast in bronze in 1252, it stands 44 feet tall. It once stood in a wooden temple, but this was washed away by a tidal wave in 1495. For 10 yen (about 10 cents) I was able to visit the inside of the Buddha through a small door on the side...I can now say, "I've been in the Belly of the Buddha!"